The new version of the Adidas AdiCore III Boots in the TRX FG sole. 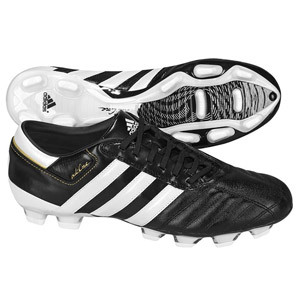 The Adidas AdiCore III boots are fantastic football boots which take the styling from the range topping AdiPure. Made with a high quality full grain leather upper, the AdiCore III feature asymetrical lacing to increase the kicking surface, as well as a low profile tongue which gives a traditional feel. The sole on these football boots is a moulded FG sole with TRX studs to increase grip. The Adidas AdiCore III boots offer traditional styling with modern elements at a great price for footballers at all levels.